A tale of several generations of women cursed to love men who love other women. As the book opens, Gabriela Siton relates the story of her mother Luna’s death, and in describing her final year, Yishai-Levi, a journalist and nonfiction author, captures the family dynamic and lays out the drama—Luna doesn’t get along with Gabriela; she’s unhappy with her husband, David; she didn’t get along with her mother, Rosa; and all this has left Gabriela at loose ends. 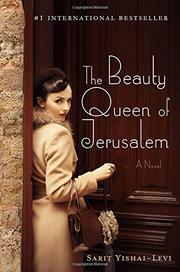 Gabriela seeks answers from her Aunt Allegra in Tel Aviv, trying to understand the family “curse,” and then the book shifts mostly to Rosa’s and Luna’s viewpoints. It abruptly shifts back in the end to Gabriela’s, skipping over years, when earlier, the narrative plodded slowly through days. There are so many characters that we only get a brief look at some of them, and so many disappointments and heartbreaks that they begin to lose their impact. Ordinary lives can be made beautiful, but when they belong to characters who are either unsympathetic or rudimentary, they are rendered ineffective. The characters’ faith, which influences so many of the important decisions in their lives, mostly comes across as routine, habit, or even superstition. Some of the characters become involved in the struggle for modern Israel, and their political fervor is similarly underdeveloped. None of the characters shine enough to inspire or enlighten readers.